The air in London is always so sultry at this time of year. As the faintly chimes of Big Ben can be heard on the horizon, I return to the market vendor to sell the bundles of bronzewood I harvested on a previous two-week voyage. The merchant cracks a smile and pays the sovereigns I'm owed. I return to the ship with supplies and fuel, ready for my next adventure. Exploration is the key to playing Failbetter Games' Sunless Skies, the latest entry in the Fallen London series and sequel to Sunless Sea (playing these is not necessary to understand Skies). The year is 1905 and humanity has colonised the deep, dark, and marvellous High Wilderness, a cluster of stars now inhabited by a diverse range of cultures and societies. You are the newly appointed captain of The Orphean, a flying steam locomotive tasked with charting this area as it choo-choos its way across the skies. By exploring these worlds, you will discover grim secrets as you survive against unspeakable horrors. In between these voyages, you'll be docked at a port where you can interact with the locals. These segments turn the game from a survival RPG into a text-based adventure as you speak to other characters or explore points of interest. This can also occur while you're out on the locomotive. On my travels, I happened across the wreck of a once-proud ship now riven by a destructive growth of fungus. Upon gathering my crew to search the remains, I discovered rooms full of corpses and a log that states it was sent from London to chart new horizons and never returned to port. Mysteries such as this gives Sunless Skies charm, as each story can be horrifying, or beautiful, or sometimes even funny. Besides having a full-time team of talented writers, some of these are also helmed by notable guests including Richard Cobbett (The Long Journey Home) and Meg Jayanth (80 Days), enabling new stories to come from a wider range of voices. Not only does this provide a foundation for more writers to be added in the future, but it ultimately allows the world to feel diverse as unique narratives take shape. 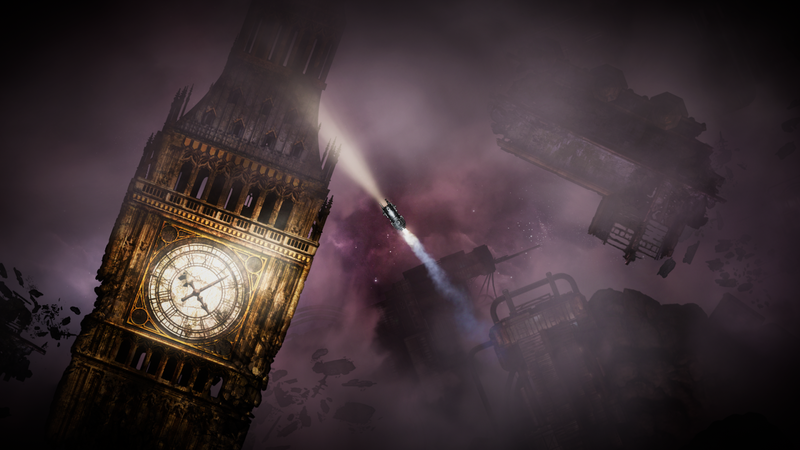 At its core, Sunless Skies is a horror game. By drawing on the works of H.P. Lovecraft, Jules Verne and H.G. Wells, there are many unnatural sections of the High Wilderness that will play on your fear. I have a phobia of voids, which meant travelling across some of the emptier parts of space became a more distressing occurrence. It feels entirely relevant that terror is a statistic for your crew that can rise or drop depending on their experiences, with higher terror resulting in a more hostile environment aboard the ship. 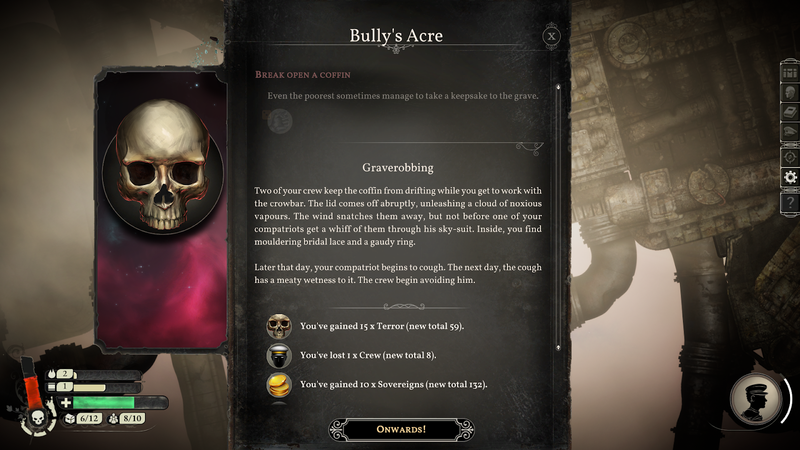 As a roguelike, Sunless Skies encourages multiple playthroughs. When you begin a new character, you will choose an origin and an ambition for them. This will shape your captain's starting statistics as well as deciding what they are working towards. Although ambitions are the ultimate endgame, they can also be ignored entirely if you'd prefer to instead play the game as a sandbox adventure. Upon levelling up, you'll be able to choose certain events from your character's past deeds that raise your stats: Hearts, Mirrors, Veils and Iron. With the game's emphasis on creating unique stories, having a level-up system that also crafts a backstory is a really clever move. To also add to the game's roguelike format; permadeath - wherein your character is permanently lost should they die - is also crucial part of the experience. Every action you take comes with a risk that may lead to your potential downfall, and this ultimately creates a tense but fascinating narrative. Tension rises during these moments of high danger – when you're running low on supplies and still several days from port – while also heightening the sense of security when in a safe place. Your decisions suddenly become destructive. You're almost out of fuel, do you approach the wreckage of a ship and risk losing a crew member to scavenge an extra tank? And with each death comes an opportunity to learn, as you grab all the knowledge from that session and apply it to a new character. Not a fan of permadeath? No worries, as this can be ignored and dead captains can instead reload from the last checkpoint. It's a much duller experience, though. One of my biggest grievances with Sunless Sea was the slow pacing and somewhat confusing manner of its first few hours. Your ship was sluggish and cumbersome, meaning most battles were spent firing your weapons whilst reversing. Skies greatly improves on this problem. The starting area is much easier, acting as a pseudo-tutorial to get you to grips with the controls, mechanics and story progression. As you venture out into other territories, the game gradually becomes more difficult as you encounter more powerful enemies. By the time you reach one of these regions, you will already be familiar with everything, so it doesn't feel like you're being thrown into the dark as much as it did in the previous game. Skies also fixes the combat by allowing your ship to strafe and turn faster, meaning you can more easily out-manoeuvre your opponents, ultimately creating more interesting battle scenarios. A sci-fi horror like no other, Sunless Skies is a fantastic new entry to add to Failbetter Games' portfolio. 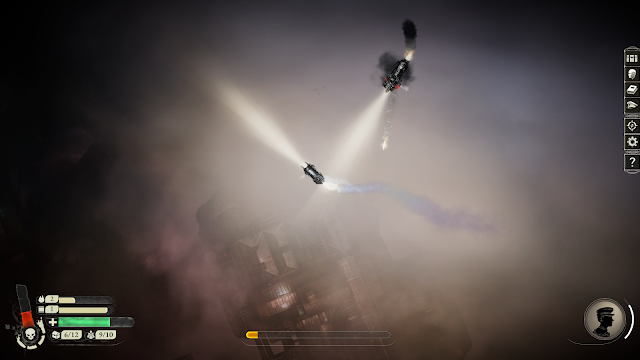 With a large emphasis on storytelling and exploration, it is absolute proof that no other studio can make a game like Failbetter does. Sunless Sea became popular for its use of roleplaying mechanics weaved between survival and roguelike systems, and its sequel is no exception to that formula. 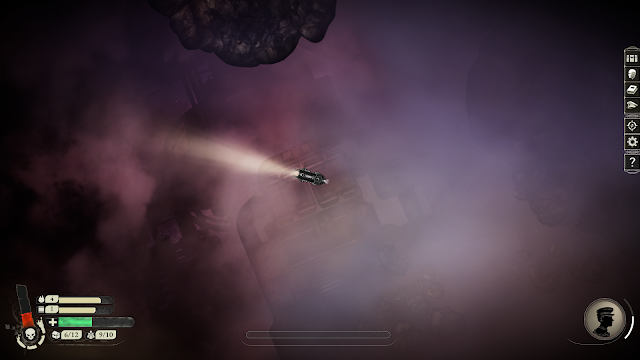 Disclosure: Sunless Skies was supplied by Failbetter Games.